Here's a list of the best prepaid plans you can get from Airtel, Vodafone or Reliance Jio that offer 2GB of daily 4G data. Here is a list of the best prepaid plans you can get from Airtel, Vodafone or Reliance Jio, which offer 2GB of daily data under Rs 300. 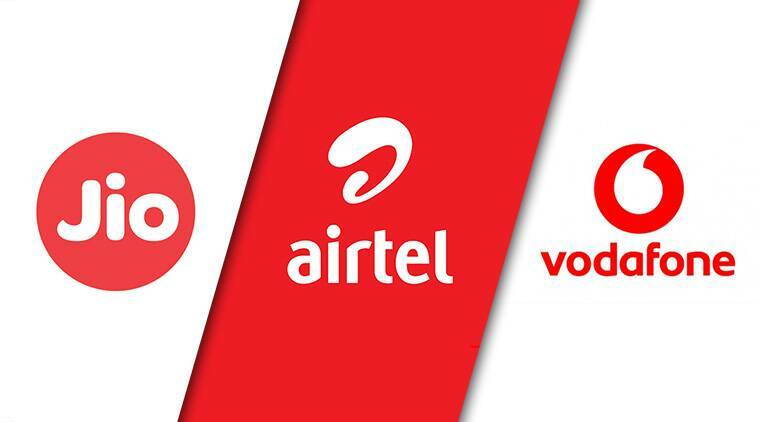 Airtel, Vodafone and Reliance Jio are the three major telecom operators customers can choose from in India. All of these companies offer customers multiple data, calling and messaging benefits for reasonable prices. This was not always the case and has happened only after Reliance Jio entered the Indian market back a few years ago. Today we have curated the best prepaid plans from Airtel, Vodafone and Reliance Jio in India, which offer 2GB of daily data under Rs 300. Airtel under its Rs 249 prepaid plan offers its subscribers 2GB of daily 4G/3G daily data and comes with a validity of 28 days. It also includes 100 daily national SMS and unlimited local, STD and roaming calls. Airtel subscribers also get free access to the company’s digital content streaming apps, namely Airtel TV and Wynk. Reliance Jio customers can get its Rs 198 plan, under which the company offers a total of 56GB of 4G data. The data is provided to the user in the form of 2GB of daily 4G data. The plan just like Airtel comes with a validity of 28 days. Other benefits include unlimited local and national voice calls, 100 daily SMSes and complimentary access to the company’s digital services like JioTV, JioCinema, JioXpressNews, JioCloud, and more. Lastly, Vodafone also offers its customers 2GB of daily 4G/3G data at Rs 255. The plan comes with a validity period of 28 days just like Airtel and Reliance Jio. Along with 2GB of 4G data per day, the company also offers its customers unlimited local, STD and roaming voice calls along with 100 SMSes per day. The recharge also enables the user to access live TV, watch movies, TV shows and more via its Vodafone Play app.